#IJHTMYT – In my previous vlog I shared the untold historic details concerning the first initial area of land mass, dubbed as the Black Wall Street in Durham North Carolina. After traveling some three and a half hours south of Raleigh, and climbing up many mountains overlooking the beautiful scenery of Buncombe County, I made a stop in the valley. In a place where only the few natives that still resides in this side of town can recall many gut-wrenching stories about what really happened here in Asheville North Carolina. Before North Carolina became the 12th State in 1789, and even before Carolina was allegedly ruled by associates of King Charles and splitting into South Carolina and North Carolina in 1712, all of these land masses were already occupied by who the Europeans eventually called the Americans; describing them as copper-colored races. During the mid 1500’s, European intruders from Portugal made numerous attempts to settle in lands now called South Carolina, Georgia and North Carolina just to name a few, but failed on multiple occasions when faced by the millions of raiding Indigenous Aboriginal Niiji. The short-handed few that survived the raids fled back to Europe. A few even fled to the lands now called Florida, with assistance from their indentured Iberian servants who accompanied them during their mutliple round-trip journeys. Also, these same unwelcomed settlers were suffering from many illnesses during their trips of fleeing Europe and sailing to the Americas. Without possessing knowledge of proper hygene tactics and editable means to survive in the wilderness, most of the settlers attempted to colonize these lands, but died before and soon after their arrivals. Mainly due to their health conditions as I just mentioned, and also being unfamiliar with the lands now called the Americas, plus, not being able to translate the many native languages the Indigenous Niiji spoke. I’ll get into more detailed information about the settlers arrivals in a later planned documentary, but I mentioned this to share with you who resided in all of North Carolina before and after pre-colonial times. Now, during the early 1800’s, the west coast of America became the resettlement destination for fourty to ninety southern Indian tribes, clans and/or nations alike, especially soon after the War of 1812. By unofficial orders from then President Andrew Jackson, he deliberately initiated the emigration of Native Indians, or rather the Indigenous Aboriginal Niiji, from their respective territories throughout all of the lands east of the Mississippi River, to the west lands of the Mississippi River. Then, according to the LOC (Library of Congress), The Indian Removal Act was passed by The House and The Senate in the same day of May 26th, 1830, then immediately signed into law by then President Andrew Jackson just two days later. 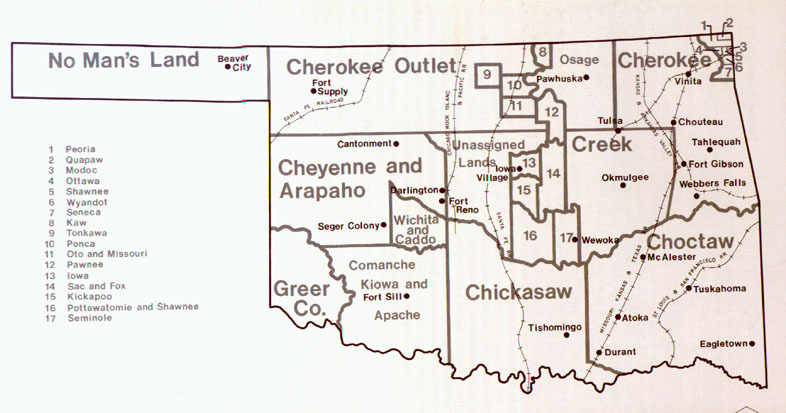 This sole authorization made it official for Jackson to grant unsettled lands to the Native Indians in exchange for their current Indian Territories. So from the years of 1830 to 1886, the most commonly known Five Civilized Tribes and many of the uncommonly known Indian tribes, clans and nations of the southern regions of America, were all affected by Jackson’s malicious replication of emigration. Forcing even many of the Indigenous copper-colored Aboriginals of the mountain areas of North Carolina to resettle west. Some of the tribes moved peacefully, but some of their members, along with other Indians tribes in sectional parts of South Carolina, Georgia, Tennessee, Virginia and North Carolina for example, resisted to go so they stayed home and fought in rebellious wars against the militiamen of the government. Continuous Indian raids and rebellions occurred between the 1500’s and the peak of the 1900’s all across America, killing off thousands of European immigrants over the years but later suffering from the deaths of thousands of our own people as well. 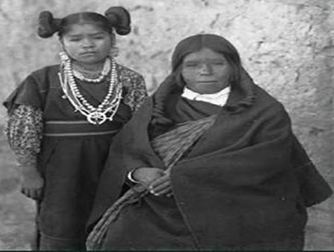 Some of the copper-colored Indians left because they didn’t want to be faced with the possibility of being enslaved, while others stayed home because they did not want to abandon their sacred lands of their original inhabitants. These same Indigenous Niiji (people) were then fraudulently reclassified as Negros, Mulattos, Coloureds and/or Slaves by the US Government and the US Census Bureau during the mid 1800’s. Their malicious intent was to separate the Indigenous Aboriginals from their true identity, cultures, history and nationality, by implementing a eugenic formatted belief system tailored to go along with their unlawful mischievous ways of paper genocide. All purposely designed to negate the reparations, land allotments and other specialised rights and privileges set into law by Abraham Lincoln, having being the Indigenous Aboriginals of America were deemed as the beneficiaries. More about this in my documentary called the Untold Truth About The Classification Of Race, but I mentioned all of this so that you can be made cognizant of who the forced slaves actually were…. Many early historians loves to cover up the truth concerning what really happened in Asheville before it was called Asheville. The stories will depict rumors that the whites were the actual natives of the mountains throughout the land masses of what was called the Appalachian region, which was a multi-state aggregation consistenting of nearly 400 counties, and that they singlehandedly constructed the industrialized system that streamlined their economic growths, cultivated their political powers and socially engineered their society to what it is today independently from slaveholding. Hmm….it is quite obvious that these earlier historians went about shaping the history of Asheville in a bias and yet very bigoted manner. For example…. According to historical records and many documents held by the Pack Memorial Public Library of Asheville North Carolina, the UNCA’s Center for Diversity Education and the Buncombe County Register of Deeds collaborated to produced what is called the Patton Family Online Exhibit. 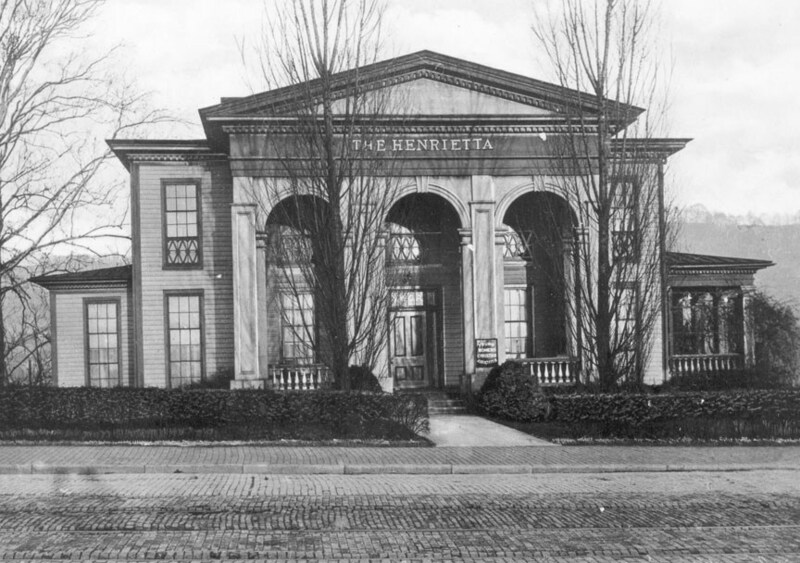 What is also important to note is that the Pack Memorial Public Library was off limits to the newly reclassified copper-colored natives of North Carolina during the time of its opening until around the late 1980’s, no matter if they were slaves, servants or free. Why? Well…. The Pack Memorial Public Library was named after a white Forester born of immigrant parents in the State of New York named George Willis Pack. George was named after his father and grandfather who migrated to North America from England during the first great migration of the early 1700’s. After successfully enterprising his many lumbering businesses by using copper-colored indentured servants and slaves, from various places all over Ohio and in Michigan, George moved to Asheville in 1884 where he was immediately met with rapid possibilities of endless opportunities to prosper for years to come. George wasted no time with settling in the mountain city, as he firmly instructed his slave laborers to build his Manyoaks mansion in which construction was fully completed the very next year. 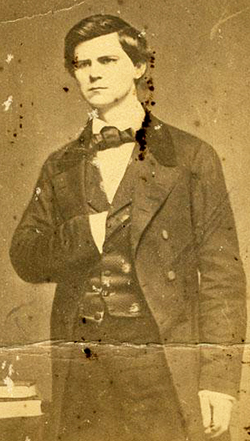 George Willis Pack quickly became well known as the top contributor of Asheville, merely because of his dominate will to assist only those needy people of Asheville that shared his same hue of complexion, that barely could assist themselves with little to no avail of economic resources to propel financial growths individually. Having being the predominant aid for cultivating the success of industrializing Asheville, by directing and managing utilitarian colored natives as slaves to literally build Buncombe County, along with other surrounding counties from the ground up, George was treated like the God of Asheville. During the early 1890’s, George contributed hundreds of acres of land that he purchased along with thousands upon thousands of dollars to provide educational, cultural and many welfare benefits for only the European descendants that are still ongoing today in Asheville. In 1896, George even funded the $2000 project to build a monument in Court Square, in honor of his business buddy and close friend who just so happened to be the former Governor of North Carolina, a former Confederate army soldier, Congressman and United States Senator, and most important of all, the third largest slaveholder in Buncombe County, Zebulon B. Vance. According to historic data collected by the US Census of 1800 – 1860, the seven most influential European American families of Buncomb County were slave owners. In the year of 1899, George W. Pack purchased lands and buildings on the site of Court Square for the Asheville Public Library. 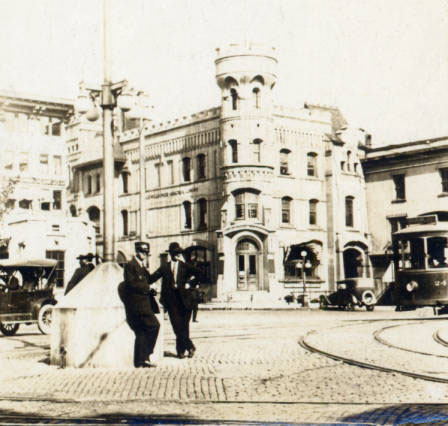 Then during the following year, he liquidated his land on College Street under the prerequisite that the existing Buncombe County Courthouse be dismantled and a new one constructed, leaving the remaining land to be designated as a public square. 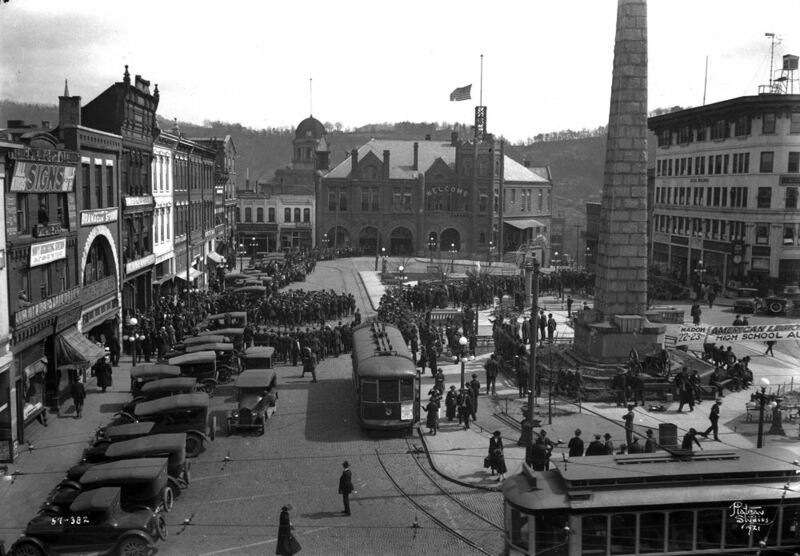 In gratitude, local officials changed the library’s name from Asheville Public Library to Pack Memorial Public Library, and also the previous Court Square to Pack Square, in which both sites still bear his name today. It is no secret that North Carolina, along with 12 other states, subscribed to the Confederacy and seceded from the Union in the early 1860’s. Nearly all of the southern States of America were against the Northerners ambitious motives of reconciliation between the whites and their profitable copper-colored qslaves. This caused heavy tensions to spur amongst the white Southerners and Northerners, mainly due to the Southerners deeply rooted investments in slavery. Ownership, trade and forced labor of Indigenous Aboriginal Niiji of Turtle Island was predominantly the preeminent key ingredient inside of their stew of prosperous success. I stated earlier that multiple influential white families of Buncomb County were slaveholders, but some of them also participated in the Civil War on the side of the Confederate. People like Zebulon Vance played a leading role in the North Carolina Regiment of the Confederate army as a soldier, to fight for the incessant of slavery. With less than a years worth of education in law, Vance even attempted to persuade his political counterparts in the idealism of apprehending (appreciating) forced slavery as a Congressman, of both the 35th and 36th Congress between the years of 1858 and 1861. What is very important to note, is that Vance forced the slaves he owned to fight along side of him during the Civil War. Another prominent individual by the name of James Washington Patton, who is the son of the Ireland immigrant James Patton that I briefly mentioned earlier, also served as a Confederate soldier in the Civil War. While owning his own set of slaves and inheriting the slaves that his father held during prior years, James W. Patton became one of the largest slaveholders of Buncombe County during the mid 1850’s and early 1860’s. Using his wealth and forced laborers to help increase commerce, Patton’s slaves were forced to build Patton Avenue, the first major east-west road in Asheville, and work at both hotels he inherited from his father. The hotel in Warm Springs and the Eagle Hotel, which is now known as the Fine Arts Theatre today. What is also important to note here, is that mostly all of Patton’s slaves lived behind the Eagle Hotel in an area that continued to be designated for only copper-colored natives to live, until “Urban Renewal” arised between the 1950’s and 1970’s. Patton took some of his slaves along with him to fight in the Civil War, where he died during the first year of the war. His three sons served in the Confederate army as well. While two died during the war from undisclosed diseases, his youngest son Thomas Walton Patton survived and struggled heavily to keep his families weath together during the reconstruction time after the Civil War ended, due to the slaves being freed by the Emancipation Proclamation on January 1st 1863. Soon after that, Thomas W. Patton donated mostly all of his inherited lands to Catholic churches, hospitals, public libraries and other entities of Asheville before he died in 1907 at the age of 66. Throughout the late 1830’s and well into the 1960’s, many of the copper-colored natives of Asheville, whether classified as free persons of color, slaves or freedman, experienced heavy forms of racial discrimination and injustice from the European immigrants and their prejudice descendants. Now this side of the story of Asheville North Carolina is very similar to nearly all other southern and northern States all across America, so I’ll briefly mentioned a few things. 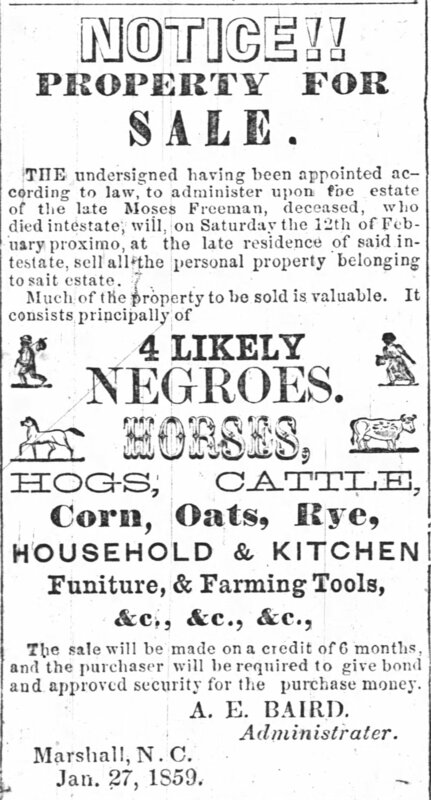 First, some of the so-called Negros or Coloreds were struggling to make ends meet to provide for their families, while simultaneously enduring the effects of the streamlining Black codes then later converted into Jim Crow laws, to further escalate the white supremacist invasions of America systematically. Second, some other copper-colored natives of Asheville were educated and employeed by the government, while others took out small loans in order to opened and operated their own small to medium-sized businesses in Buncombe County, allowing some of their success for a short-lived middle-class lifestyle. So by the time the late 1930’s came around, a federal program was established to helped set bigotry into the structure of housing for decades to come, by setting up maps defining desirable areas for investment. The criteria these maps utilized were definitely blatantly racist, because they would consider a particular neighborhood risky, for no other reason than having a high percentage of colored population in the area. Now you probably can recall me going into detail about “redlining” in my documentary called the Untold Truth About The History Of Credit And Debit, and this particular segment isn’t any different, however, this prejudice method was also used as the basis for Urban Renewal, also known as Urban Removal of the copper-colored natives. 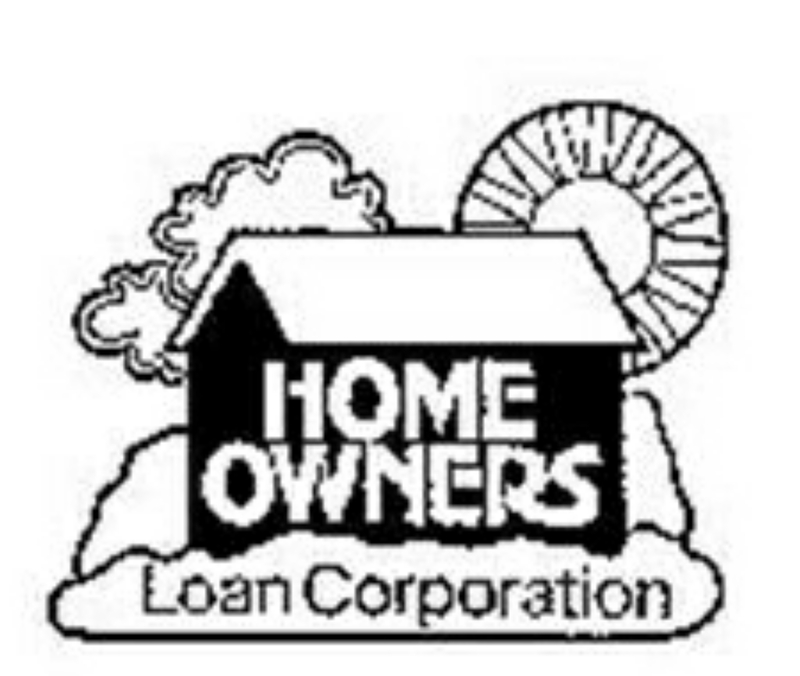 This federal program was called the Home Owners’ Loan Corporation (HOLC), a government-sponsored company that was established in 1933 by its founder Franklin D. Roosevelt. It was one of the many “New Deal programs” whos job was to stop the spiral of the Great Depression. 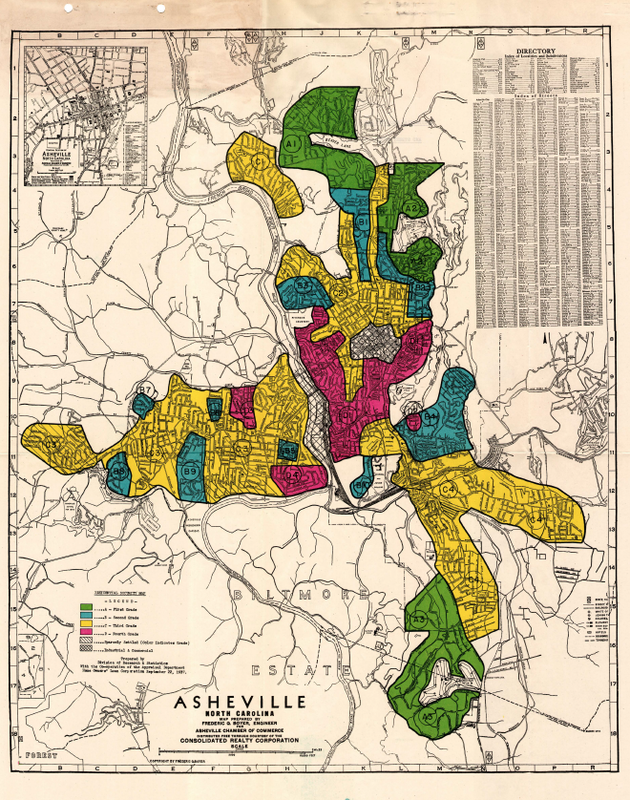 Its alleged sole responsibility was to hand out millions of dollars to assist underwater homeowners and refinancing their mortgages, however, just like many of the government’s New Deal programs, they operated under heavy racial discrimination tactics, and large to smaller cities like Asheville were targeted by the HOLC. These areas were “redlined” and deemed as unsafe for investment or loans to the local homeowners of those particular neighborhoods. In fact, Homer Hoyt was the main force behind the HOLC, because Hoyt was the Chief Economist of the Federal Housing Administration in 1934. Hoyt was in fact responsible for setting up the criteria that HOLC used for its appraisals. 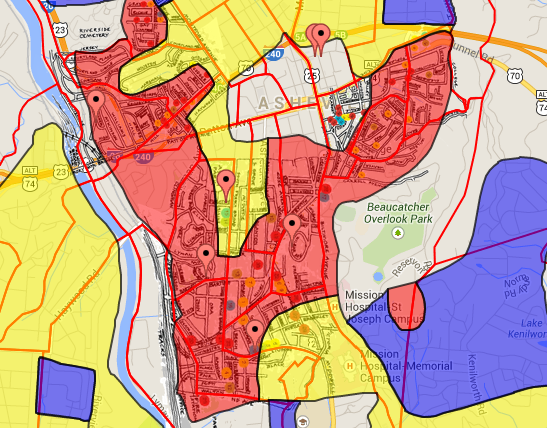 Their criteria consists of each city being divided up into zones on a map, where they would determined if each zone was fit for government loans and assistance or not. Hoyt was a believer in the ability of a “scientific” analysis called eugenics, to decide whether each neighborhood were worth federal backing or not. 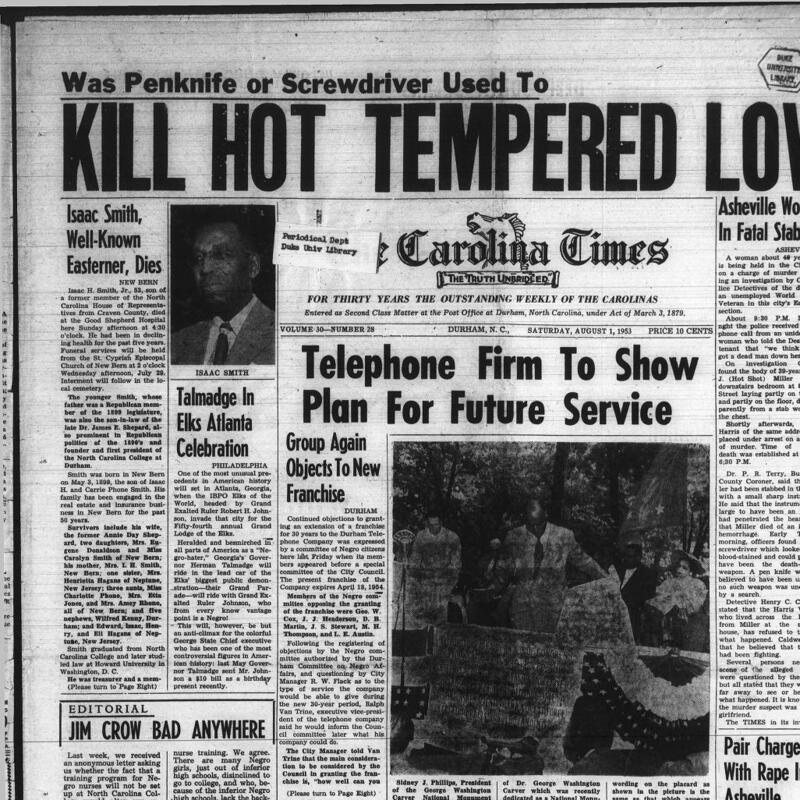 Plans were drawn up to tear down these so-called undesirable areas, and to purge copper-colored individuals from Asheville, even if it meant by using physical force without warning. Very few copper-colored families overheard the rumors of what was about to happen, so they took their families and immediately fled for saver areas. Some of their children had no idea of what happened in Asheville. Hundreds of colored young boys, men, women and even their younger children were met with violence and brutality from the local police force and government militia. Pulled from their homes, dragged out from their places of work, slapped, kicked, punched and beaten to the ground. Poked with nightsticks and smacked with the butts of shotguns and assault rifles. Dead bodies were positioned in the streets and set on fire, where crowds of European descendants watched and celebrated. The colored elders were left in the streets with nowhere to go, and no medical support because the local hospitals closed their doors to all copper-colored natives of Asheville during Urban Removal. And when our ancestors fought back, they were immediately sprayed with mace, and attacked by dogs, some were thrown in jail for many years with no probably cause, and some were stabbed to death, or shot to death, for no apparent reason other than the color of their skin. The rioting carried over to the public segregated schools, where many children lost their lives, for just being colored and trying to have an education. Beautiful homes and businesses that were owned by colored people were burned to the ground, leaving people with young children on the streets to suffer from having no food to eat and no water to drink. In present day Asheville, it has become what thousands of the past Baptist and Catholic and other Christian European immigrants wanted it to be. A small touring city where people from all over the world would come and visit, for the beautiful mountainous sceneries, the quaint yet thriving restaurants and the multiple local breweries it has to offer. Some of the tourists have enjoyed it so much, that they purchased mostly all of the lands in Asheville from the government. Creating various types of businesses within the historical landmarks and buildings all along the roads that lay on hills and valleys, that were literally built from the ground up, from the blood sweat and tears of our ancestors. Asheville was always a beautiful place, but nowadays, only a few indigenous natives of this land can actually enjoy it for themselves. Once proud and successful property owners, land owners, entrepreneurs, prosperous business men and women are now either dead or currently living in poverty. Due to the aftermaths of Urban Removal during the late 1950’s and early 70’s, nearly 98% of the copper-colored people that still lives in Asheville today were singled-out, and given the opportunity to live in Project Public Housing that was sectioned off and created for them. Many of the Elders say that it is hard Not to remember all of the beatings, the name calling, segregation, the riots, the lynchings, Jim Crow and many other things that made them feel inferior and unwelcome in their own homelands. Yes this did happen, and yes this did happen in many other cities and States all across America. was the Gentrification of Asheville North Carolina.